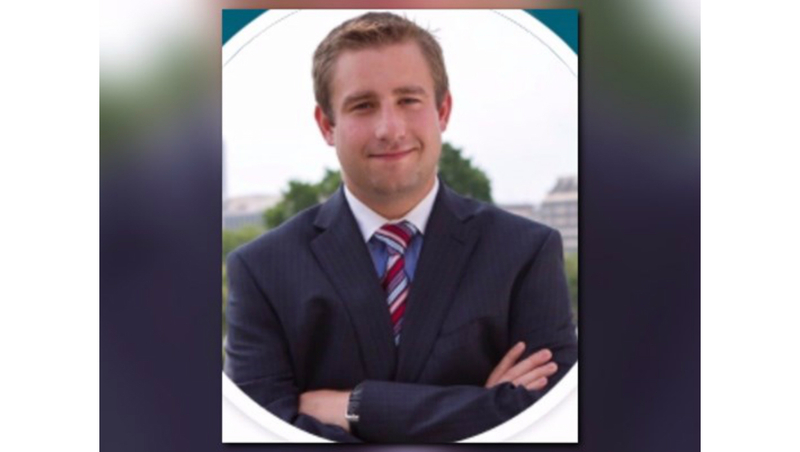 NEW YORK — An investigator who worked on the Seth Rich case claims Fox News fabricated quotes implicating the murdered Democratic National Committee staffer in the WikiLeaks scandal and that President Donald Trump pressured Fox to publish the story. The investigator who looked into Rich's July 2016 murder for the family, Rod Wheeler, sued Fox for defamation on Tuesday. Wheeler's suit alleges that Fox News defamed him by manufacturing two false quotations and attributing them to him, thus damaging his reputation by blaming him as the deceptive story fell apart. Wheeler, an African American, is also currently suing the network for racial discrimination. Wheeler, a Fox contributor, said the network made up the quotes attributed to him, saying there was contact between Rich and WikiLeaks, and that someone — possibly Democrats or Hillary Clinton's campaign — was blocking the murder investigation. Rich was killed in what Washington police believe was a botched robbery. Wheeler alleges that the story about Rich's death was orchestrated by Ed Butowsky, a Dallas based wealth management consultant and FNC commentator who hired him for the Rich family. The lawsuit said Mr. Trump pushed to get the story out. There was no immediate response from the White House. It also alleges that Sean Spicer met at the White House with Wheeler and Butowsky to review the Rich story a month before Fox News ran the Rich piece, according to the court documents. Also according to the lawsuit, 36 hours before the story appeared, Butowsky allegedly texted Wheeler "Not to add any more pressure but the president just read the article. He wants the article out immediately Its now all up to you. But don't feel the pressure." Acknowledging that he met with Butowski and Wheeler in April, former White House press secretary Sean Spicer denied any White House involvement in the story. "Ed is longtime supporter of the president's agenda who often appears in the media," Spicer said. "He asked for a 10 minute meeting, with no specified topic, to catch up and said he would be bringing along a contributor to Fox News. As Ed himself has noted, he has never met the President and the White House had nothing to do with his story." Following news of the suit, the Rich family spokesperson Brad Bauman released a statement. "While we can't speak to the evidence that you now have, we are hopeful that this brings an end to what has been the most emotionally difficult time in our lives and an end to conspiracy theories surrounding our beloved Seth," Bauman said. President of Fox News Jay Wallace issued a statement responding to the lawsuit. "The accusation that FoxNews.com published Malia Zimmerman's story to help detract from coverage of the Russia collusion issue is completely erroneous," Wallace said. "The retraction of this story is still being investigated internally and we have no evidence that Rod Wheeler was misquoted by Zimmerman. Additionally, FOX News vehemently denies the race discrimination claims in the lawsuit — the dispute between Zimmerman and Rod Wheeler has nothing to do with race."